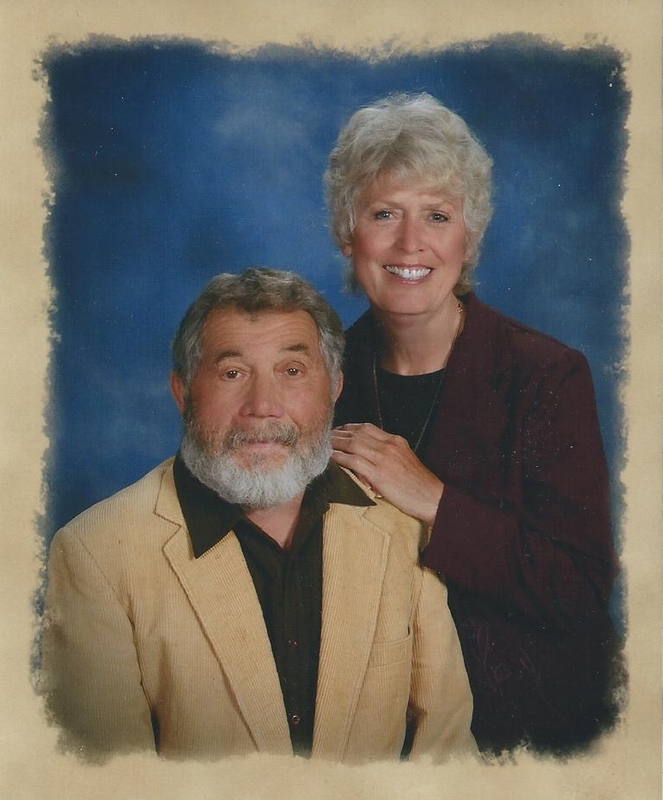 Memories...... our GV AOE "BOSS"
We called him BOSS because he truly thought he was. 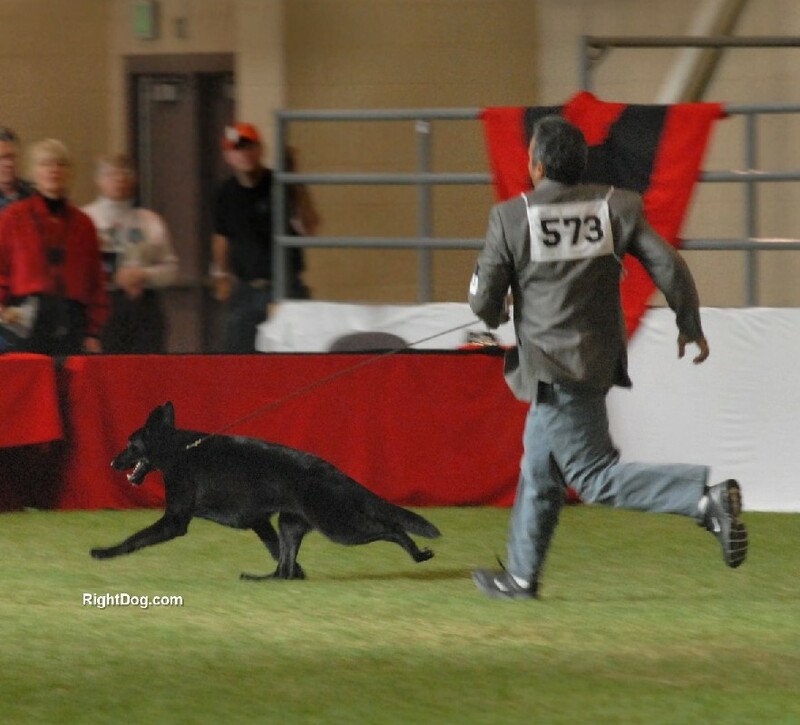 BOSS was completely fearless and totally in love with life! 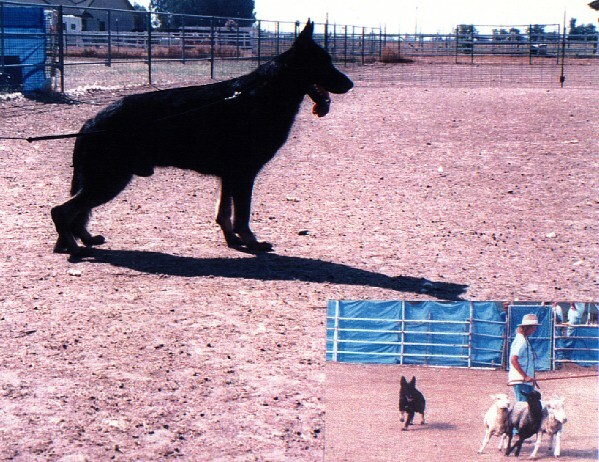 out of the puppy class he finished his Championship at 18 1/2 months including a Best in Futurity. 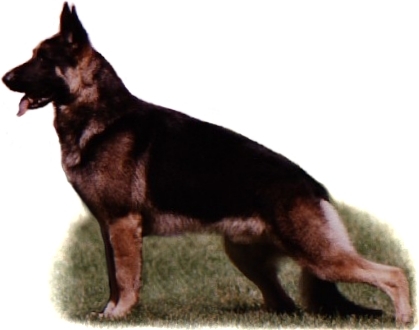 German Shepherd Dog at Specialties. Above is "BOSS" doing what he loved best. NEXT......having our 'BO' become the very first solid black Grand Victrix in History!! 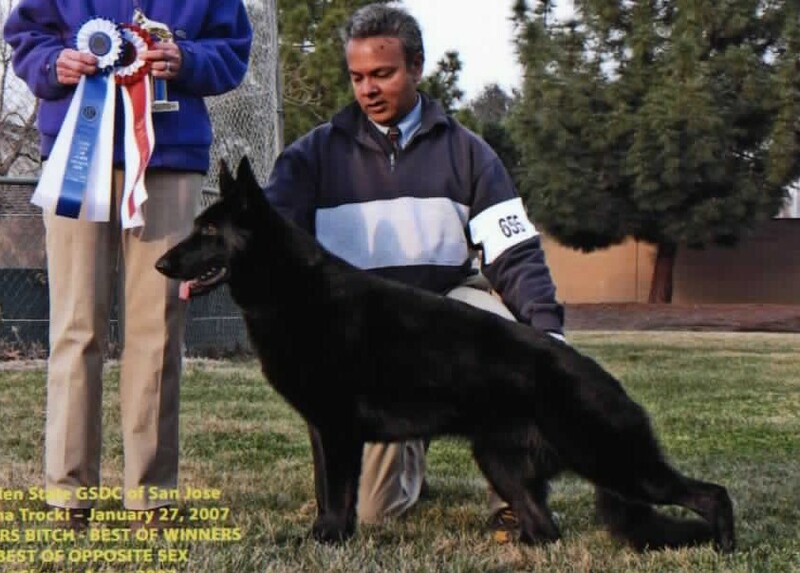 2007 U.S.GRAND VICTRIX Select Excellent AOE Champion MAR HAVEN'S BLACK ORCHID ROM, OFA, T.C., H.T., P.T. 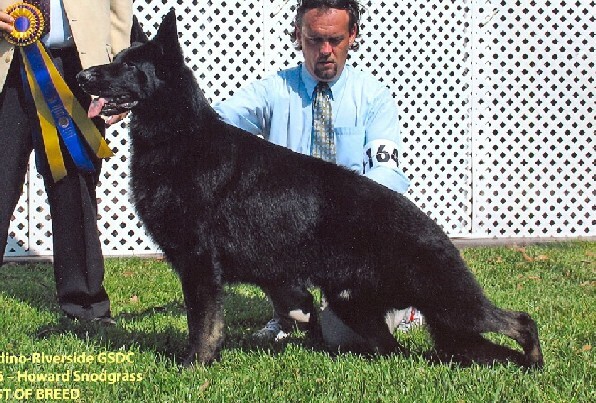 CHAMPION MAR HAVEN'S MAN IN BLACK P.T. the sire of our G.Vx Black Orchid. SELECT EXCELLENT A.O.E. 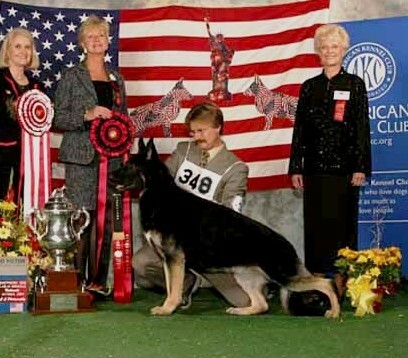 CHAMPION ELVASTON'S SOUTHERN BYRNE ROM, T.C., P.T.